We took Will ramp foraging with us last week. He brought a trowel and a dump truck. But don't fret, we confined his excavation to a patch of dirt that did not contain any ramps - they're far too precious and fragile for the likes of him. We harvested very cautiously and left with a small bag of green treasure. 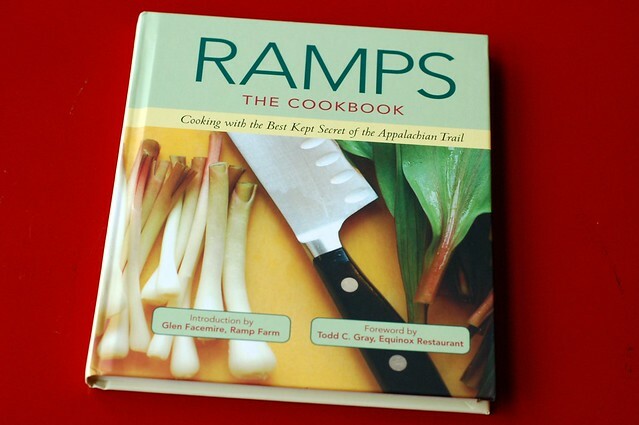 I plan to make this delicious ramp and lemon risotto that we enjoyed last year. 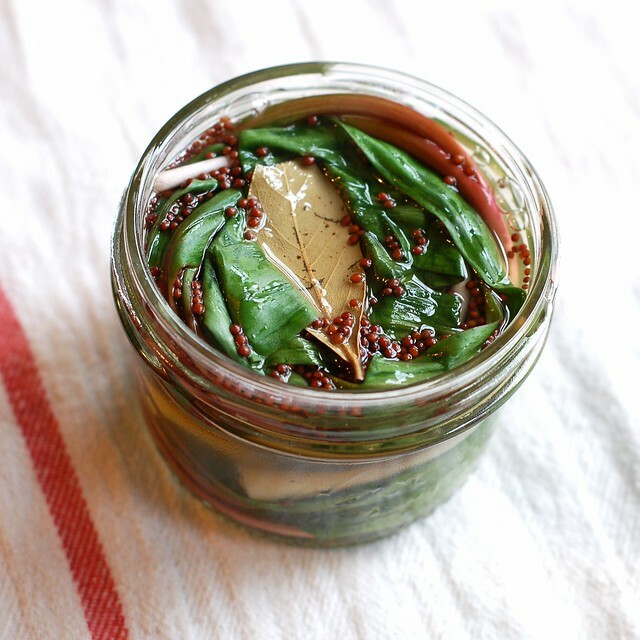 And my husband just started a small jar of these pickled ramps. There are a LOT of good recipes in this book. 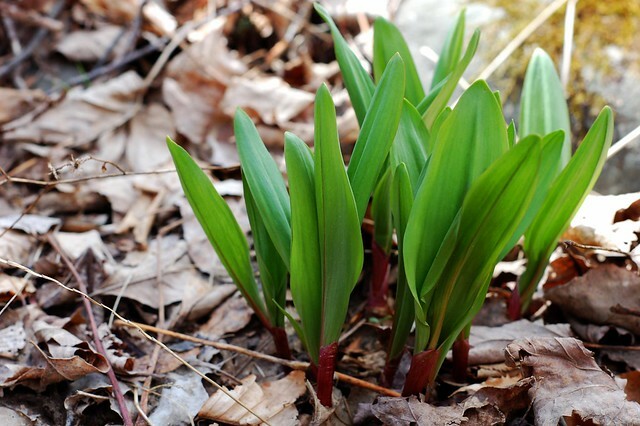 Time to start growing our own patch of ramps, methinks. A slow process but well worth the effort and time. The flavors are intense and good. Great with cheese, charcuterie, on a sandwich, etc. Though you will have ramp breath for hours afterwards, just to warn you. 1. 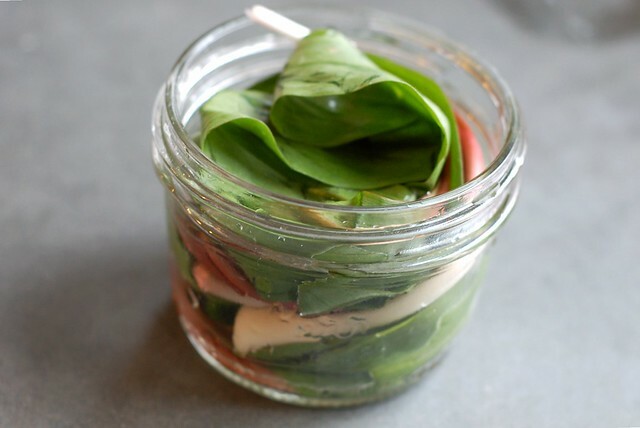 Carefully pack ramps into a sterilized quart-sized jar with a screw-top lid. 2. Combine remaining ingredients in a medium saucepan over medium high heat and bring to a boil, whisking until sugar and salt are dissolved. 3. Pour hot brine over ramps (it should fill the jar completely, if you have excess, discard). Screw on lid and allow to cool at room temperature. 4. Transfer to refrigerator and allow to rest for at least 3 weeks and up to a year before consuming. 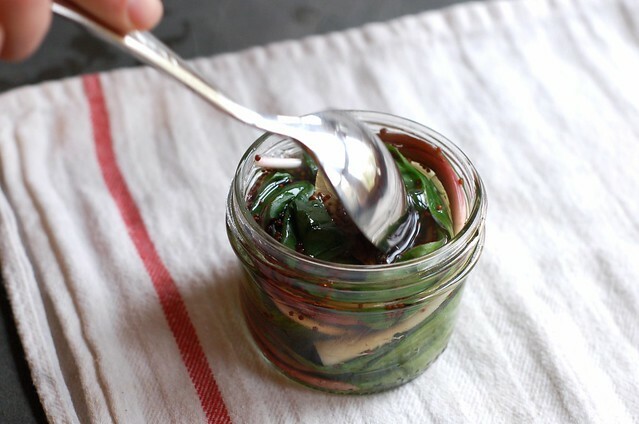 I've never seen a recipe for ramps pickled with the greens before. The jar looks so pretty!